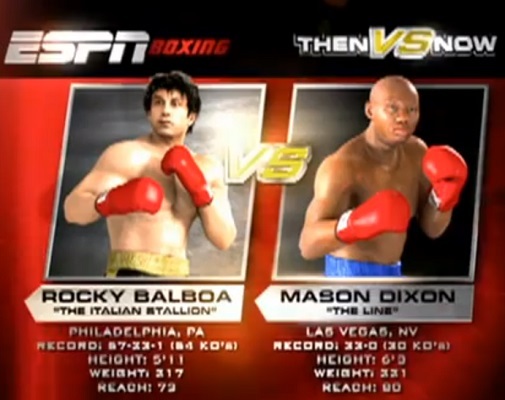 Let’s go where no Star Trek comparison has ever gone before: the Rocky series. I love both of these film series. It was actually a delight when I realized that they both charted an identical course that led to extremely entertaining results. This is unlike any other Movie Matchup I’ve ever done because it’s comparing an entire series, not just a single film. For that reason I will be fairly brief as I explain the similarities between each film in these series. Otherwise, this would be a monstrosity to read. Plus, I have to admit that the first Star Trek “film” I’ll be comparing isn’t Star Trek: The Motion Picture, but the original series episode entitled “Space Seed.” I already wrote about how Star Trek: The Motion Picture is virtually identical in both style and substance to 2001: A Space Odyssey. It may be the first numerically of the big-budget Star Trek films, but every film that followed it is a direct sequel to Space Seed, and they never even mention the events in The Motion Picture. With that said, let’s find out what “Beam me up, Scotty” has to do with beating the snot out of guys as we compare the first six Star Trek films with the Rocky films. Space Seed and Rocky are basically about a battle of wills between two adversaries, which ends in a virtual draw. Khan Noonian Singh is a genetically enhanced superhuman who puts himself and his followers into cryogenic freeze for 200 years hoping to find a new civilization to conquer. Apollo Creed is an undefeated boxing champion who puts his reputation on the line in a novelty fight celebrating the 200th anniversary of America’s creation. Khan finds a worthy opponent in James T. Kirk, captain of the U.S.S. Enterprise, though Khan constantly underestimates his resourcefulness. Apollo decides to fight an unknown boxer named Rocky. Apollo is so confident that he’s got the fight in the bag that he doesn’t notice Rocky’s determination to win until it’s too late. 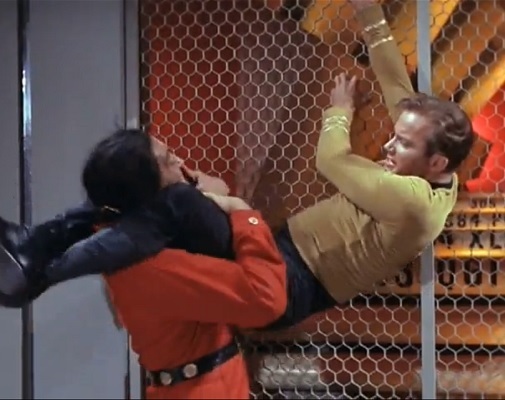 The conflict between Khan and Kirk comes to a head when they have a big fight in Engineering. After several punishing blows from each of them, Kirk finally gains the upper hand just in time to save his ship from destruction. In their big fight, Apollo and Rocky keep going back and forth and they look pretty evenly matched. Just as Rocky is on the verge of victory, the final bell prevents him from delivering the knockout blow. 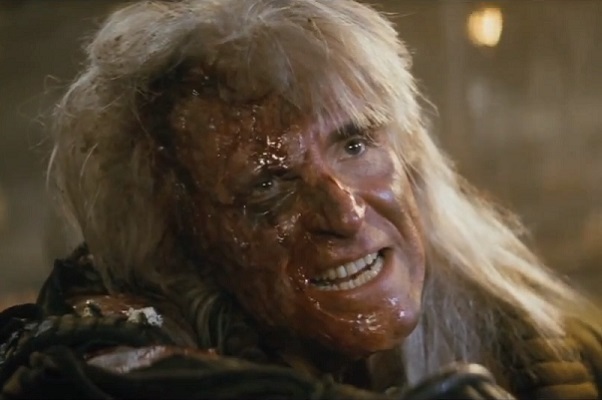 Khan isn’t truly defeated because Kirk gives him what he wants: a chance to rule an entire planet. Apollo technically wins the fight, but Rocky wins a moral victory by going the distance through all 15 rounds – something no other fighter had done. Space Seed is the episode that inspired producer Harve Bennett in what direction to take the series with Star Trek II. It turned out to be the guiding framework for virtually every other film that followed, highlighting action mixed with psychology, romance, and classic literary references. The first Rocky film also established all of the hallmarks of the series, and it still holds up as one of the best sports films of all time. The sequel to the first film is the ultimate rematch between two larger-than-life characters. Khan is bitter after being stranded on a desolate planet for years and watching many of the people he loves die. He wants revenge on Kirk. Apollo receives numerous letters from people criticizing him for his lackluster performance in his fight against Rocky. He is eventually goaded into seeking a rematch. Kirk tries to adjust to his new life as a teacher, but he yearns to be back in the captain’s chair going on interstellar adventures. Rocky tries to parlay his newfound fame into lucrative commercials, but he can’t read very well and thus can’t memorize his lines. He’s not sure if this is the life he wants. Kirk learns that he has a son from a woman he previously had a relationship with and then lost. She offers some helpful advice when Kirk is at his lowest point. Rocky’s wife Adrian falls into a coma after giving birth to their son. Rocky worries that he will lose her. Thankfully, she recovers and gives him the encouragement he needs to defeat Apollo. In their final showdown, Kirk cripples Khan’s ship and then escapes in the nick of time. In their rematch, Rocky and Apollo knock each other to the mat and struggle to get up in their dazed, exhausted state. Rocky barely manages to get back on his feet in time to be named the victor. Star Trek II is a major improvement on just about everything that came before it. It is the reason why the Star Trek film series has had such longevity. Great storytelling, compelling characters, elegant music, and still-impressive special effects elevate this film to a pinnacle few other science fiction films have achieved. Rocky II is a solid second effort, though it falls short in terms of originality. While it does move the story forward, its tone and structure are virtually identical to the first film. The third film has a much less interesting villain and doesn’t live up to the first two films, but it’s still a fun ride. Kruge is a Klingon upstart who wants to make a name for himself and win glory by taking on the Federation. Clubber Lang is a young boxer who viciously rises through the ranks to challenge Rocky’s title. Kruge’s men kill Kirk’s son in cold blood. Clubber causes Rocky’s mentor to die of a heart attack. Kirk’s strategy for defeating Kruge involves destroying his own ship – something Kruge would consider unthinkable. Rocky’s strategy for defeating Clubber is to get him angry and take as much of a beating as possible until Clubber wears out – something anyone in their right mind would consider insane (Homer Simpson doesn’t count). Kirk loses his space battle with Kruge because the Enterprise’s automated systems weren’t adequately prepared for combat. But Kirk wins a fistfight with Kruge later. 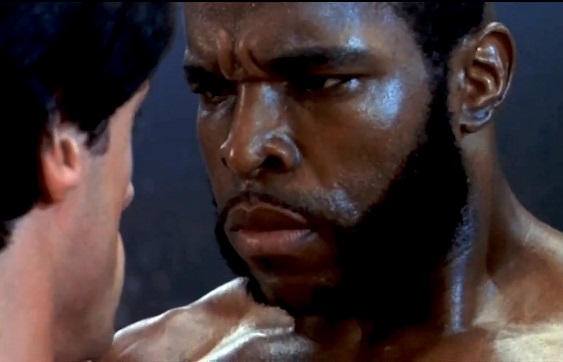 Rocky loses in his first encounter with Clubber because he was used to fighting inferior boxers. But he trains hard and comes back to win their second fight. Kirk’s final words to the villain sum up my feelings about both Kruge and Clubber nicely: “I have had enough of you!” Also, I equate Kruge’s pointless fight against an evolved amoeba with Rocky’s equally pointless fight against Hulk Hogan. The most memorable thing in Star Trek III is the destruction of the Enterprise. However, this movie isn’t a crash and burn. It’s the Rocky II of the Star Trek series – not bad but not great. Just sort of in the middle. The most memorable thing in Rocky III is the villain, played by Mr. T. Somehow what should have been a boring, one-dimensional villain completely stole the show and singlehandedly launched Mr. T’s career as a wannabe action hero. At this point, both series decided to go in a whole different direction by inserting both comedy and political commentary into their narrative. An alien probe shows up to teach mankind that it’s not necessarily the dominant species on the Earth. A Russian boxer named Ivan Drago shows up in America to show the world how superior the Soviet Union is. Kirk and his crew travel to the 20th century to recover two humpback whales. They face curious customs and skeptical scientists as they work to accomplish their mission. For the first time in the series, Rocky leaves the United States and travels to the Soviet Union to fight Drago. He faces angry crowds and suspicious KGB agents, both of whom he learns to overcome. After arriving in the 23rd century, the whales have a chat with the alien probe and tell it to stop hurting the Earth. The humans’ efforts to save them changed the way the whales feel about humanity. 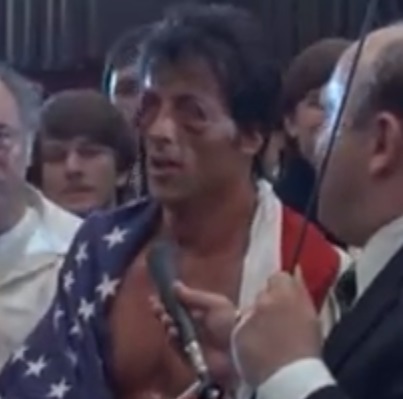 After defeating Drago, Rocky tells all the Russians and Americans to stop threatening to kill each other. He symbolically won over the crowd of angry Russians, thus proving that everyone can change. The fourth films managed to become the most popular across a broad audience. Adjusted for inflation, Star Trek IV’s gross is still just barely behind Star Trek (2009). Rocky IV is the only film in that series to earn more than $300 million worldwide. After the fourth film reached new heights of popularity, the fifth film nearly killed the series. Kirk and his crew are forced to go into battle aboard a crippled spaceship. Rocky returns from his fight with Drago too brain-damaged to ever box again. Kirk faces his most annoying threat yet: a holy man who makes the Enterprise crew mutiny against their captain. Rocky’s villain is beyond annoying; he’s positively insufferable. Rocky trains a young man nicknamed Tommy Gun to be the next big boxing champion. Unfortunately, Tommy gets corrupted by greed and turns on Rocky. Both films hint that the main character is going to die, but they fail to deliver on that intriguing promise. 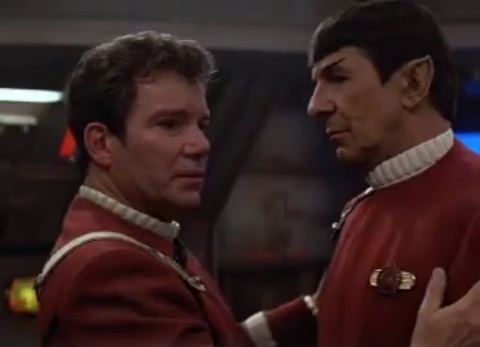 At the start of the film, Kirk tells Spock and McCoy that he knows he’ll die alone. In the end, Spock saves him and tells him that he couldn’t die because he wasn’t alone. It’s actually a pretty cool moment, but it’s the only one in the whole film that’s memorable in a good way. With plenty of flashbacks and sentimental moments, it seemed like Rocky V was also gearing up to kill off the titular character. But he’s saved at the last minute by… um, mutant healing power, I think. Star Trek V easily could have killed the franchise. Although it broke even at the box office, it failed to live up to expectations and it destroyed all the goodwill that Star Trek IV had generated. Rocky V succeeded in killing its franchise. The film was so poorly received that, even though it still earned a considerable profit, it was almost universally reviled. It looked like the beloved boxer was doomed to hang up his gloves for the last time in disgrace. The final film in the series offers a sentimental farewell to the characters we’ve grown to know and love over the years. In their old age, many members of Kirk’s crew have accepted new responsibilities: Spock has taken on an ambassador role over his second-in-command one, Sulu has moved from the helm to the captain’s chair, and Uhura is teaching seminars. Now an old man, Rocky has retired from boxing and become a successful restaurant owner. Kirk isn’t thrilled to be thrust into a situation in which he must help Klingons. But he takes the captain chair one last time, despite his misgivings. Rocky is surprised to learn that a computer simulation estimated that in his prime he would have beaten the current heavyweight champion. He decides to get back into boxing to test that theory. Spock grooms his successor, a Vulcan named Valeris, but she turns out to be a traitor who is working against him. Rocky has the opposite experience with his son, Rocky Jr. Rocky and his son don’t see eye to eye, but they are eventually reconciled and the son helps Rocky prepare for the big fight. Kirk and his crew manage to unravel a conspiracy to violently undo the peace process between the Klingon Empire and the Federation. In other words, they do what they do best: Save the day. Rocky goes the distance with the heavyweight champion and both are left standing when the final bell rings. In other words, he does what he does best: Win a moral victory against incredible odds. These films aren’t considered the best in their respective series, nor did they perform spectacularly at the box office. But they are both excellent final entries that sum up everything that made those series great while also adding some fun twists to the formula. Kirk and crew attempt to solve a mystery before time runs out, and Rocky is once again the ultimate underdog fighting for his self-respect. If you think that the similarities between the Rocky films and the original Star Trek films are amazing, just wait until next week when I’ll show you which film series the next five films in the Star Trek series are virtually identical to. Hint: It’s in a similar vein as Rocky. This entry was posted in Movie Matchups and tagged films, movie review, movies, rocky, science fiction, star trek. Bookmark the permalink.